How to choose carpets for living room? 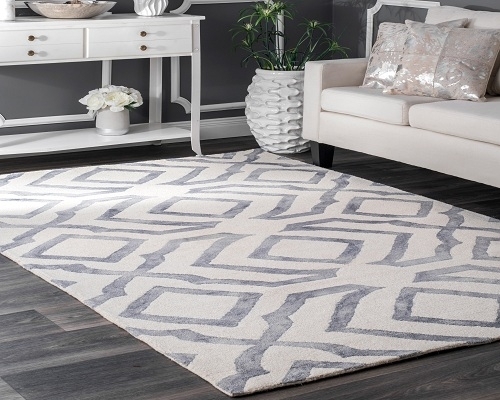 Size, texture, color, pattern, and shape are all variables of a rug can change the look of your decor. A living room is the most important part of a home. 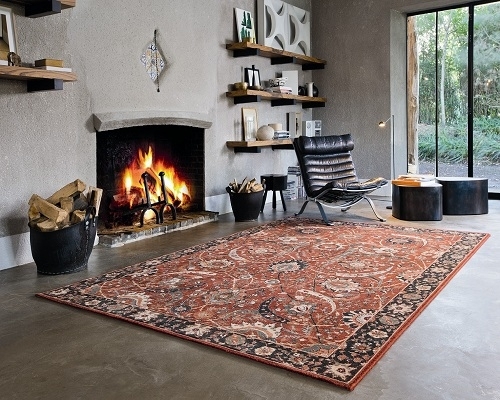 Selecting the best handmade rug for a living room is a difficult choice. Parameters like a style, size, and color of the handmade rug need to be considered very carefully to ensure the right choice is made. Without the clarity about that parameter in mind, you will never find the exact carpet what you are looking for. The ideas below will help you make sure that the newest addition to your décor is a perfect fit for your living area and your home. Find the best way to select your rug. Even before your search for a perfect carpet, start thinking about your lifestyle. Ask yourself: How do you imagine decorating your living room? What is your priority, glamor or comfort? Take some home décor inspiration from Google or search for the best ideas. After taking inspiration, make a list of the accessories according to the priorities. Always think about creating a focal point. Focal point means any attractive and luxurious item which can show your lifestyle to others. You can make a gallery using wall paintings or can add chandelier but if we want to give a rich look to a décor then there is only one option- handmade carpets and rugs. You can shop rugs online or from a carpet store. Handmade carpet is made in natural materials and follows the seven steps to weave. Handmade carpets are made in three types- hand knotted, hand tufted and flat-woven. You can shop hand-knotted rug online from Rugs and Beyond. Handmade carpets are woven in various types of designs and the design (especially silk hand knotted rug) is “One of a kind”. Choosing the right rug shape is important. Over large rugs will curl from corners while a very small rug looks incomplete in a room or is not well suited; you should a place a rug that fits on the space properly. Finding the right size and design of a carpet is so important. Proper size rug makes a big difference in seeing how your room was looking before placing rug and how a rug successfully adds charms to room. I often recommend front two legs of couch should place on the rug if it a medium size carpet. In winter if you want to cover the entire space then buy a large carpet online and put your furniture and everything on the carpet. Small carpet like 4x6-5x7 ft carpet is used to place between the couch and chairs. Place it in the center and put furniture around it. After that place a transparent table on it. Foot traffic is an important element when considering rug textures. If this is a very used room, such as a living room then you would like to consider a hand knotted wool rug, simple or cotton flat weave dhurrie because you can easily clean it. 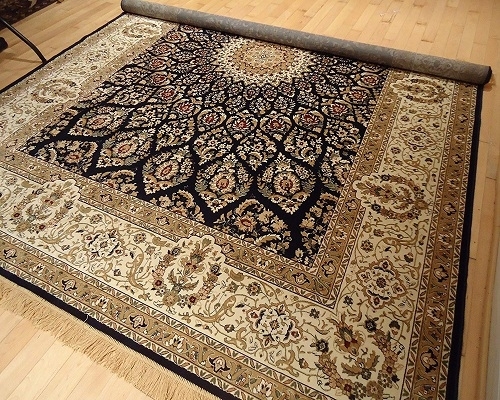 Handmade silk area rug is always ideal for wall hanging and for a low traffic area like a bedroom and guest room. You can buy either hand-knotted traditional carpet or modern carpet according to your interiors style.